Jeremy is the Director/General Manager/Head Coach at FOH. Jeremy has been involved with FOH since its early beginnings. Jim Marsh has been involved with FOH since its early beginnings. Jim has coached FOH’s top high school for many years. Tom is a Director and Head Coach for youth and high school teams for FOH. He also takes on administration roles for FOH. 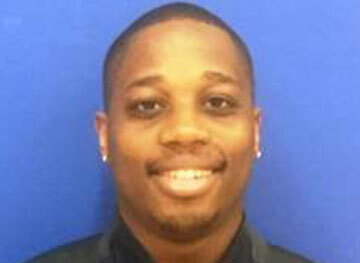 Marcus is a Head Coach for youth and high school teams for FOH. Coach Tibbs played at Bellevue College, and University of Victoria in British Columbia. Mel is a Head Coach for high school girls teams for FOH. 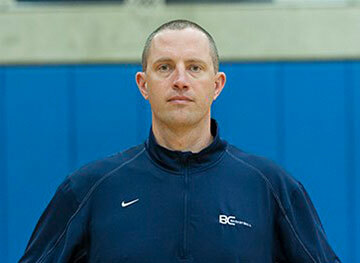 Coach Stubblefield is currently Head Coach of Bellevue College Women’s team. Ray is a Head Coach for youth girls teams for FOH. He has been with FOH since 2015. Jeremy is the Director/General Manager/Head Coach at FOH. Jeremy has been involved with FOH since its early beginnings. Jeremy directs and manages the day to day operations of FOH, its teams, and coaches. Jeremy currently is Athletic Director at Bellevue College. He also has served as Head Coach at Bellevue College, an assistant coach at Washington State University, head coach at Bellevue High School, and assistant coach at Inglemoor High School. Jeremy played basketball at Pacific University, and Edmonds Community College. Jim Marsh has been involved with FOH since its early beginnings. Jim has coached FOH’s top high school for many years. Jim played in the NBA for the Portland Trailblazers for one year, he played college basketball at USC. He has also served as an assistant at the University of Utah. 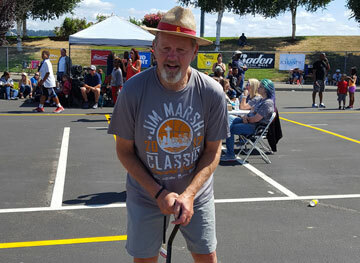 Jim is a former broadcaster for the Seattle SuperSonics, as well as Director of Jammin’ Hoop Camps. Jim is an integral part of FOH Seattle, and the Seattle basketball community. Coach Marsh hosts an annual 3on3 basketball tournament in order to raise awareness of Parkinson’s disease, which he currently lives with. He is also a retired President of Mentoring Works Washington, which is focused on state wide mentoring for Washington’s youth. Tom is a Director and Head Coach for youth and high school teams for FOH. He also takes on administration roles for FOH. Tom is a former assistant Men’s Basketball Coach at Bellevue College. He played at St. Louis Community College at Meramec, and finished with a Bachelor’s degree from Northwest Missouri State University. He has been with FOH since 2009. Marcus is a Head Coach for youth and high school teams for FOH. 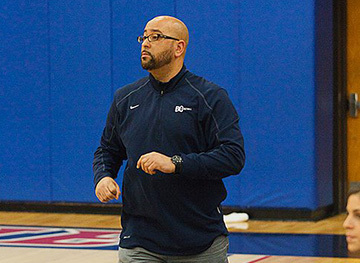 Coach Fermon played at Bellevue College, and graduated from Central Washington University. Marcus is currently an assistant coach at Bellevue College. He has been with FOH since 2010. 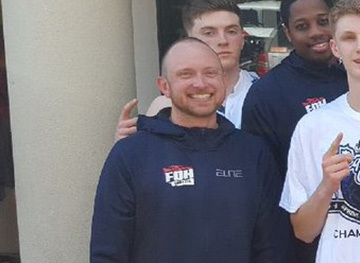 Donald is the Head Coach of FOH Seattle Team LaVine 17u. He is the Head Men’s Basketball Coach at Bellevue College and has previous coaching experience at Shoreline Community College and his alma mater the University of Redlands. As a player at Redlands, Donald was a two time captain and finished his career 6th all time in assists. He was the first Head Coach of the FOH Youth program in the Spring of 2009 and has been with the program ever since. Marcus is a Head Coach for youth and high school teams for FOH. 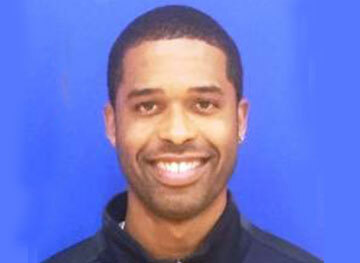 Coach Tibbs played at Bellevue College, and University of Victoria in British Columbia. 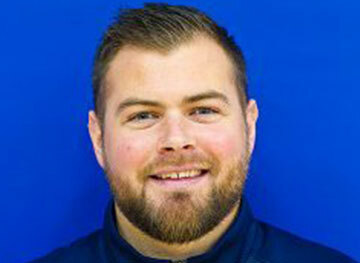 Marcus is currently an assistant coach at Bellevue College. Tibbs also helps with player development with the WNBA Seattle Storm, and plays in the Seattle Pro-Am in the summer. He has been with FOH since 2009. Mel is a Head Coach for high school girls teams for FOH. 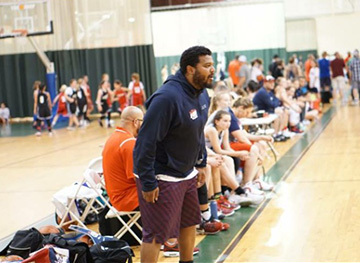 Coach Stubblefield is currently Head Coach of Bellevue College Women’s team. He also as served as an assistant at Bellevue College and Olympic HS. Mel played at Davis HS in Yakima, he went on to play at Yakima Valley College and Montana State University-Northern. He has been with FOH since 2012.